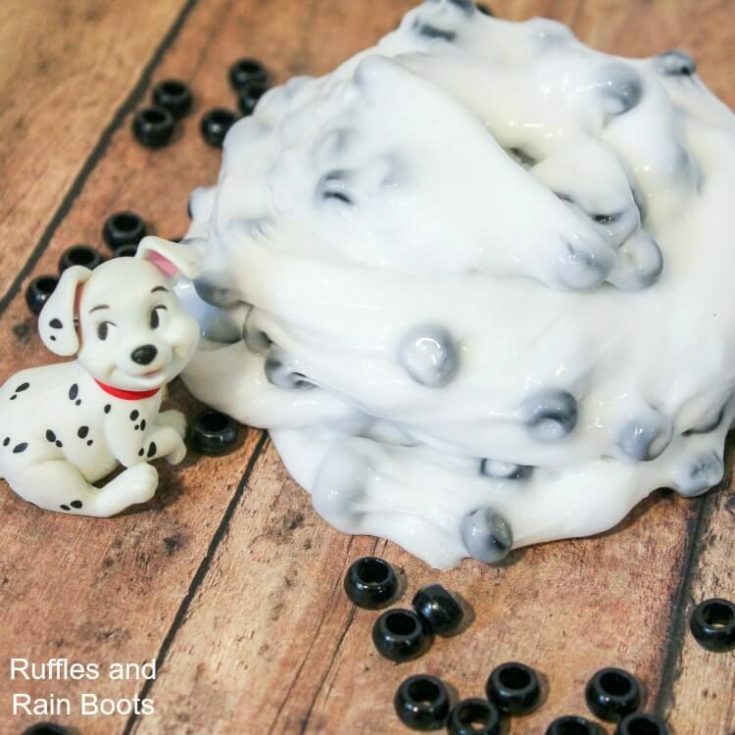 This fun and easy 101 Dalmatians slime is quick to come together and will bring ALL the polka dot smiles. Let’s get started! 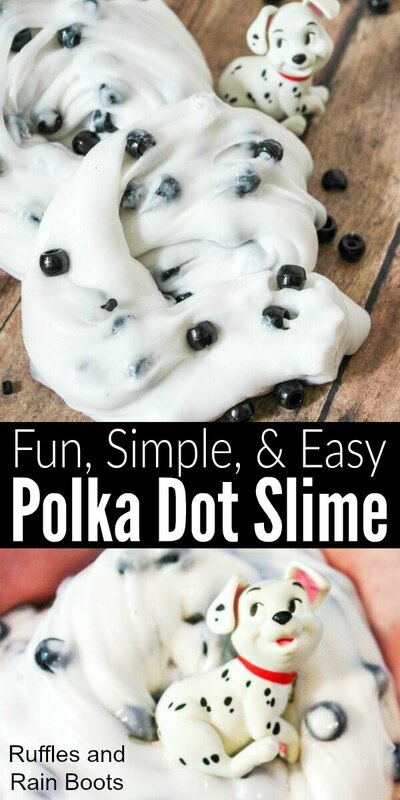 Slime – and simple slime recipes, in particular – are perfect for all ages. Little ones can play with slime in a bag while the older ones experiment with different add-ins and textures. My daughter recently fell in love with the adorable pups from Disney’s 101 Dalmatians and we’ve been seeing spots ever since. 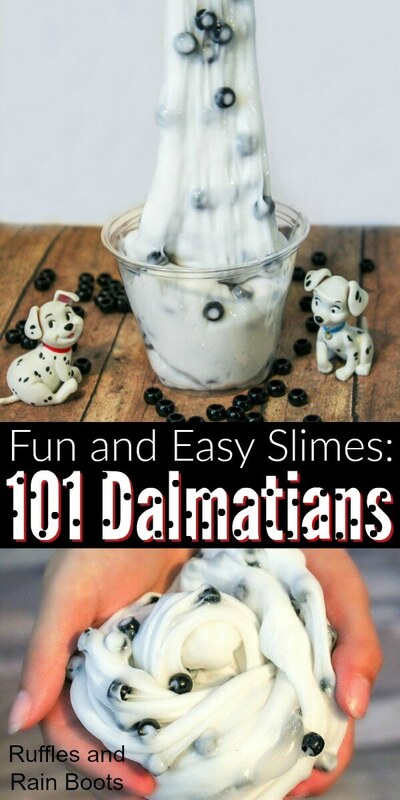 Let’s make a quick 101 Dalmatians slime together. 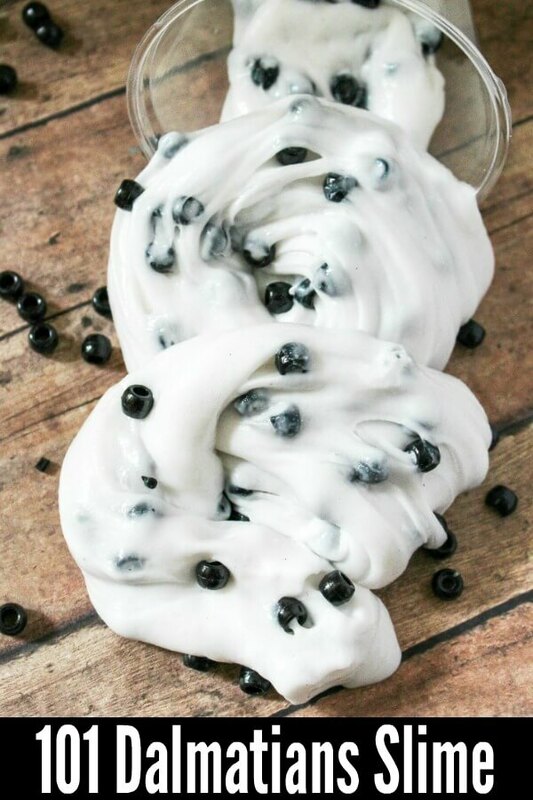 This is a simple slime recipe which can be transformed to help make science fun for any age and interest. Check out our Amazon shop for the best slime ingredients, fun add-ins, and colorings! 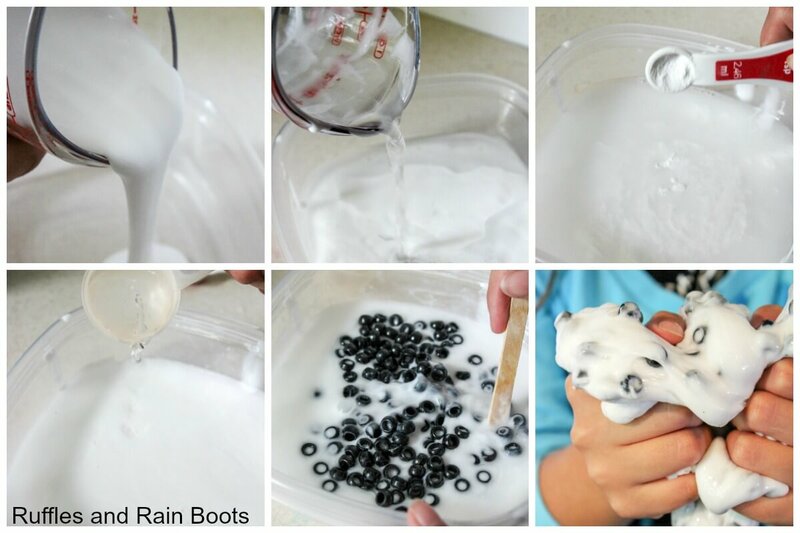 In a craft bowl, combine and mix the glue, water, and baking soda. Add in the glitter and stir until incorporated. 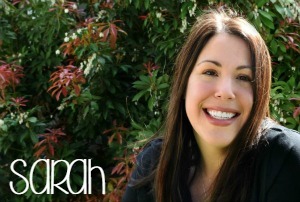 Start adding the activating agent (contact lens solution) 1 tablespoon at a time. The slime should form quickly and be a bit sticky. Remove the mass from the bowl and knead with hands until no longer sticky. Add in the pony beads and figurines and let the play begin! Store in an airtight container (we love the ones we put here). 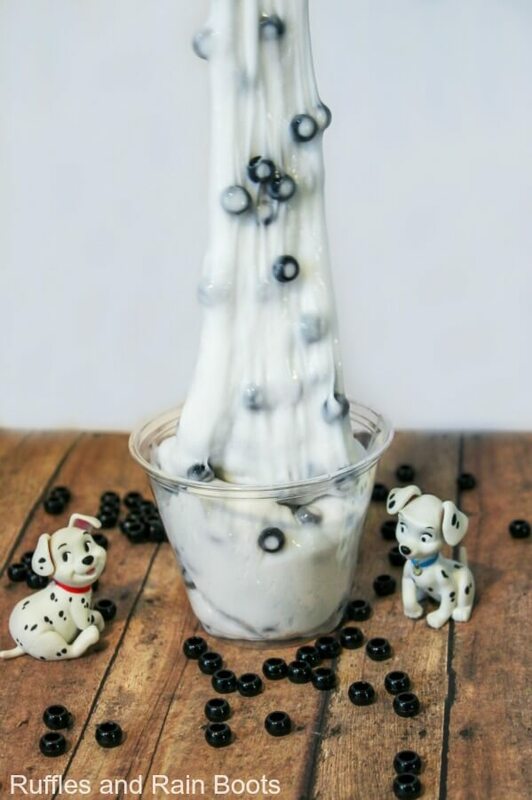 Isn’t this 101 Dalmatians slime just the cutest? My daughter loves using slime to act out the movie night stories and make up new adventures. How would your kids play with this? RELATED READING: Butter Slime Recipe with the Teenage Mutant Ninja Turtles!